The F80 Concept is a hybrid concept supercar manufactured by Ferrari. 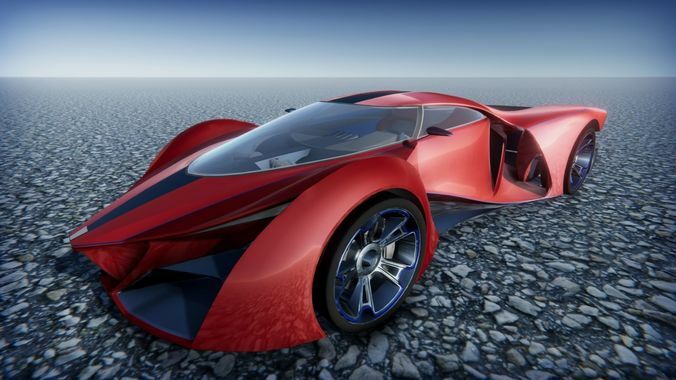 Powered by a twin turbo hybrid engine, estimated top speed about 500 km/h and 0-100km in just 2.1 seconds. This is a detailed model of F80 concept streamlined. Unity version compitable with RCC. Yes the Secret One , the edited version of original Ferrari F80. Well, it looks great, really nice job! !